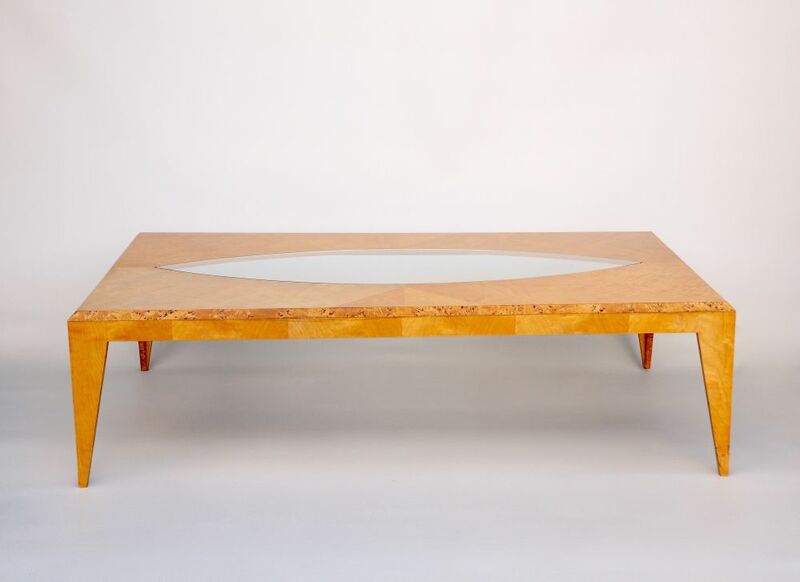 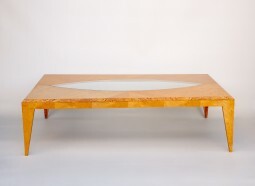 This is a very large coffee table for a very large space. 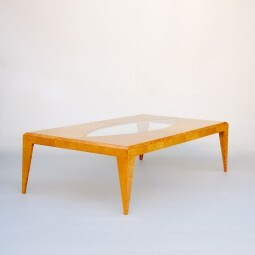 Designed by Klaus Wettergren of Denmark in the 1970/80s. His work typically features geometric shapes and light coloured woods. 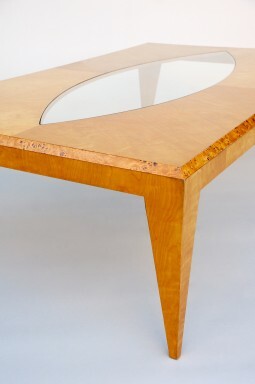 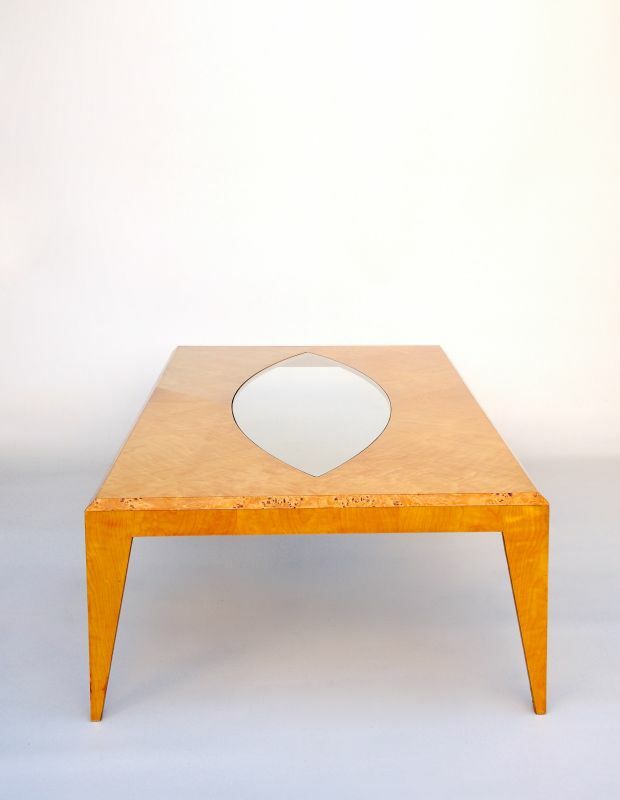 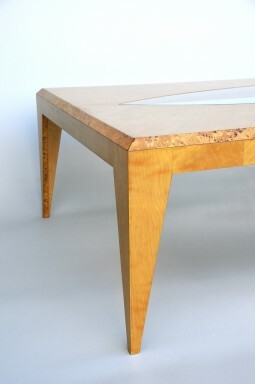 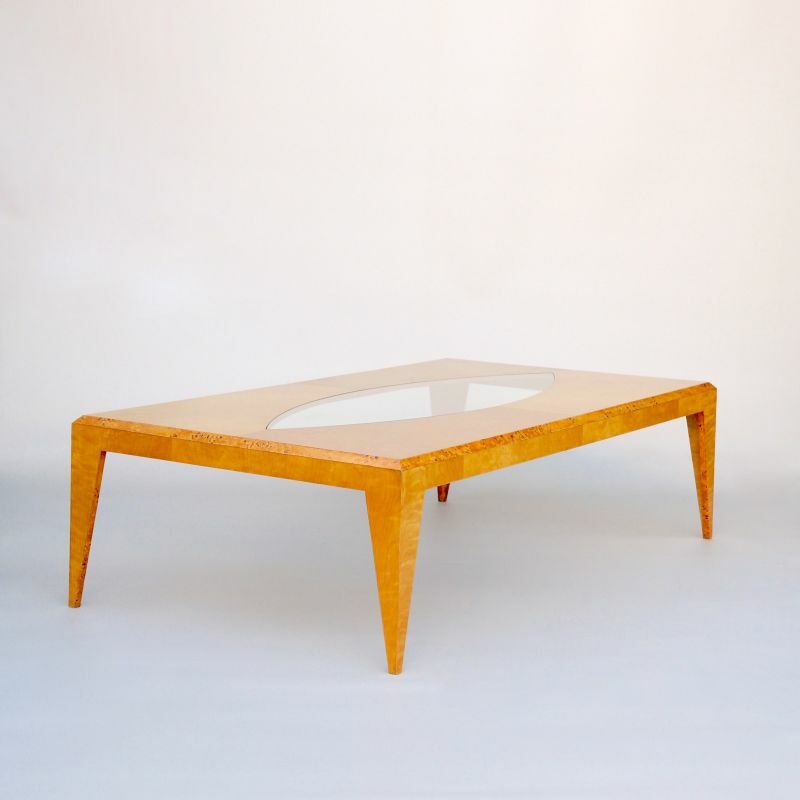 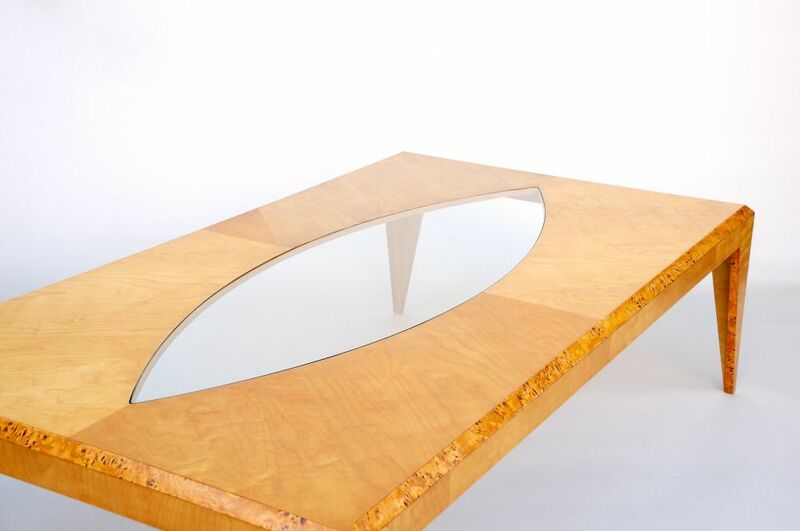 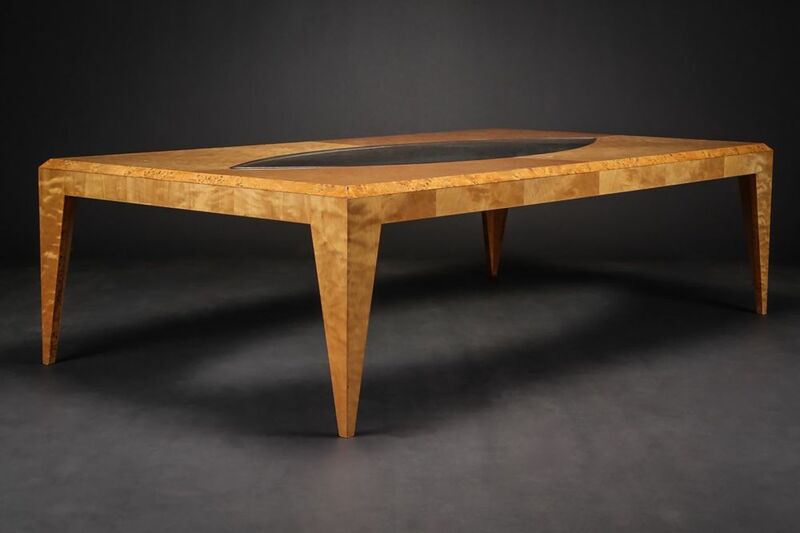 This table has triagular pointed legs, a quartered top, maple and bird’s eye maple veneers, and an eliptical glass inset to the top. The piece is in very good condition, it has recently been cleaned and polished. 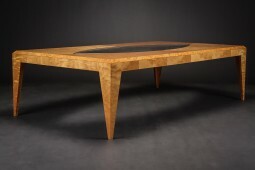 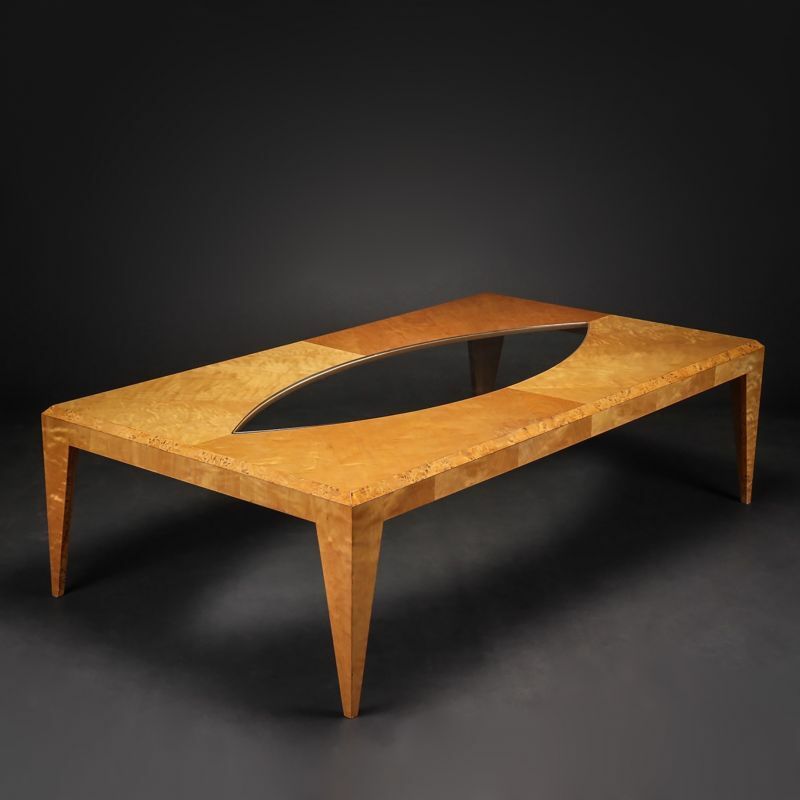 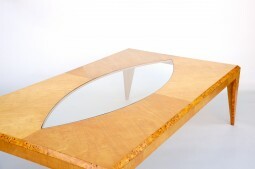 The table is 180 cm wide, 100 cm deep and 50 cms high.